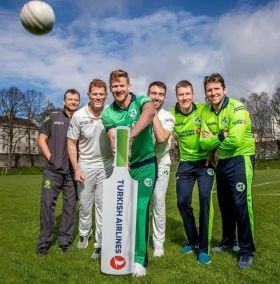 Turkish Airlines has signed on for another two years as main sponsor for Cricket Ireland, in a boost for the sport in Ireland and as a sign of the growing profile of Irish cricket around the world. At a media event held in Dublin, Mr Hasan Mutlu (Country Manager Turkish Airlines) said, “Turkish Airlines is delighted to announce that our partnership has been extended for another 2 years with Cricket Ireland”. “2019 is another milestone for Turkish Airlines as we are moving to our new hub in Istanbul, the largest airport in the world with an initial capacity of 90 million passengers in phase one and a final capacity of 200 million passenger a year. And it will be a milestone for Irish Cricket to play a test match at the Home of Cricket in Lord’s in the summer. 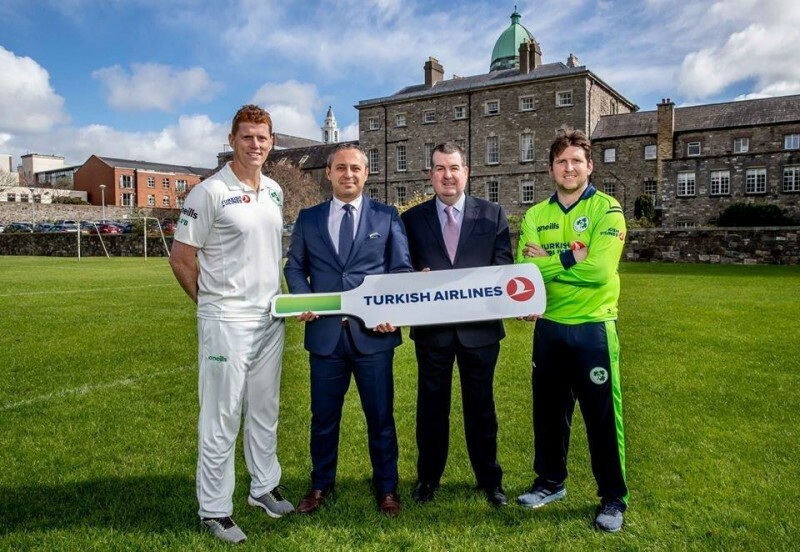 It is an honour for Turkish Airlines, the carrier that flies to more countries than any other, to be a part of Cricket Ireland and to see their rise on the global level. We hope to see our collaboration with Cricket Ireland go from strength to strength in the coming years”. Dennis Cousins (Commercial Director Cricket Ireland) said, “We are thrilled with Turkish Airlines’ announcement and see it as a vote of confidence in the direction of our sport and its growing profile around the world. Since Ireland received Full Membership and Test status in 2017, we have seen an uplift in interest and awareness of the Irish cricket brand, and as a result we have been able to invest back into the sport”.